> Condoms > Condoms (STILL) Work! With questions about Condoms (STILL) Work! Contact Neil Rana, NCSD’s Manager, Health Equity. The NCSD-TrojanTM Brand Condoms partnership was born in 2014 in order to score hundreds of thousands of condoms for NCSD member health departments. Church & Dwight, the parent company of TrojanTM Brand Condoms, leverages its resources in collaboration with NCSD to promote condoms. To date, over 3 millions condoms have been donated to programs and partners across the nation. Today, the partnership is continuing to flourish. To submit an order for your locale, fill out our order form below or at this link. 10. NCSD receives donations of multiple TrojanTM Brand products. Which of the following are you interested in receiving? Check all that apply. Yes, skip to 12A. No, skip to 12B. Working on developing one, skip to 12C. 13. Are you currently receiving TrojanTM Brand Condoms at discounted public health pricing? 17. NCSD and TrojanTM Brand Condoms may want to publish tweets or Facebook posts about this donation. Would it be feasible to promote our partnership with your health department or organization? 18. 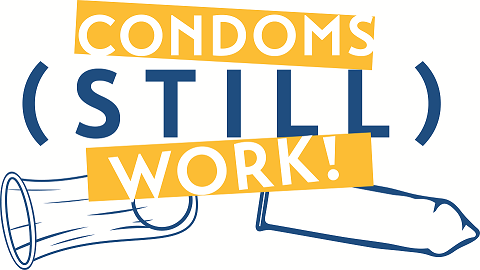 What questions do you have for NCSD staff about the Condoms (STILL) Work! program?